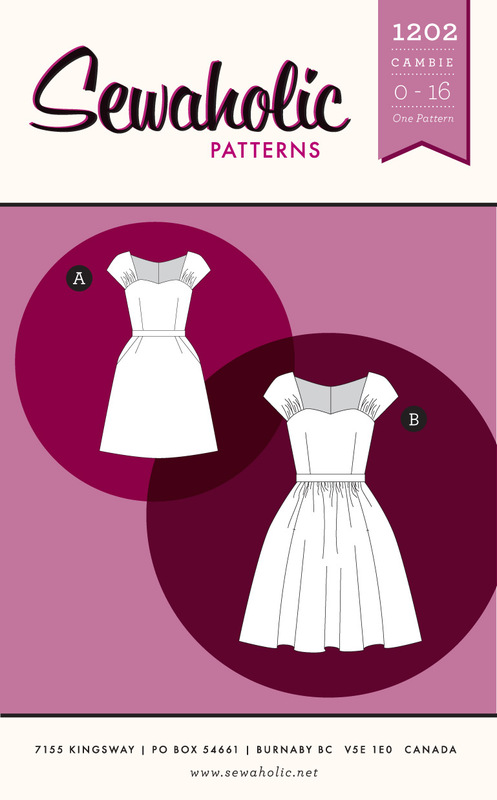 I just got a notice in my inbox that Tasia at Sewaholic is coming out with a new dress pattern! I admit I have never made a Sewaholic Pattern, but the Cambie may be a must-have. I do love Sewaholic patterns, and long for a Renfrew, but my smallest feature is my hips, so I feel like an imposter sewing the patterns because I'm an apple and not a pear. I know, weird complex, this one may just get me over it. Check out Tasia modeling the A-line version. I am nuts about those sleeves. She mentioned a pre-sale starting soon. It's all very exciting! Oh, and Gertie's book is finally coming out! It's a money blowing sewing day! Fabulous sewing day! I just pre-ordered the book and plan to pre-order the pattern too!!! Ooo that is a gorgeous dress! *gimmee hands* I WANT! Oh, I know what you mean about that dress. I squealed when I got the email - this may be my favourite yet. Sewaholic patterns are fantastic, get it and you'll love it. I am more of an inverted triangle/hourglass shape and I love how my Cambie dress came out. I made the full skirt bottom which I think was a great option for my shape. I will be trying the a-line version too, of course. I say - give it a try.